Photo by my 7 year old son. I know this post is way overdue. I had some issues with the blog format and needed a break, but it is now time to revisit my writing, and blog, Creating: A Life. Doing so could mean quick update or a long rambling existential reconstruction of the last several years of my life, or something in-between. There is much to contemplate on and about the various “in-betweens” we and I encounter; let’s see what happens. My last post for Creating: A Life was on November 26, 2011. Since then my spouse, my son, and I, have settled in Connecticut. We bought an old farmhouse, with a large sunny yard, which we are slowly rehabilitating. The house was relatively well maintained; however, the yard was completely overgrown. 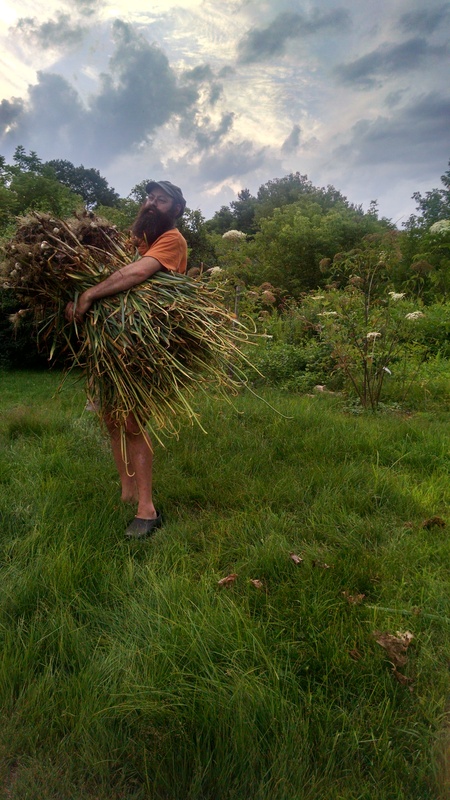 To help me transform our property into a small food-producing homestead, I enrolled in the University of Connecticut’s Master Gardner program which has proven very helpful. I also renovated a 24’ x 24’ saltbox style building into a studio. The building was originally an unheated workshop and garden shed. It required some structural reconstruction, new windows, rewiring, insulation, and new walls thanks to a sheetrock hanging day with extended family. Ultimately, the complete interior was transformed on my own except for the house’s electrical panel upgrade to a 200 AMP system and an instillation of a 100 AMP subpanel to the studio. I definitely needed to hire this job out. This renovation took me roughly a year and a half to complete. While working on the studio, I took a break from my artwork, and concentrated on the Master Gardner coursework and cleaning up our property. 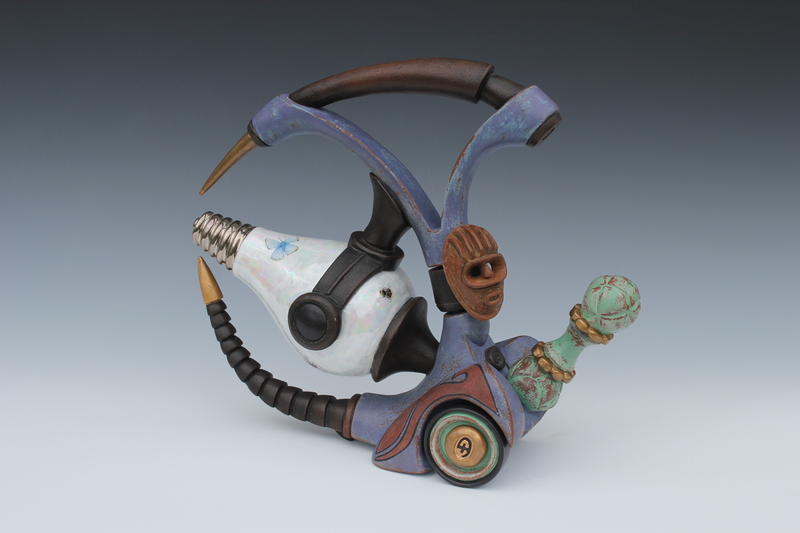 This was a welcome change from my intense work during my 2011 McKnight Fellowship for Ceramic Artists, in Minnesota. The fellowship was very rewarding, although it did keep me away from my family for most of that year. Suffice it to say, I made a hell of allot of artwork and drank a lot of red wine. My favorite grape is Malbec – I like it for its tang! My time away from art making was a good and welcome change. I actually didn’t spend much time dwelling or thinking about my artwork. I knew once the studio was done that I would pull through any apprehension I might have about restarting my creative process. I ended up starting a new sequence, titled the “Visitor” series, and began moving back into more functional work, figuring I would need some money to support my artwork and hopefully help with our finances. So I am now working on marketing my work. 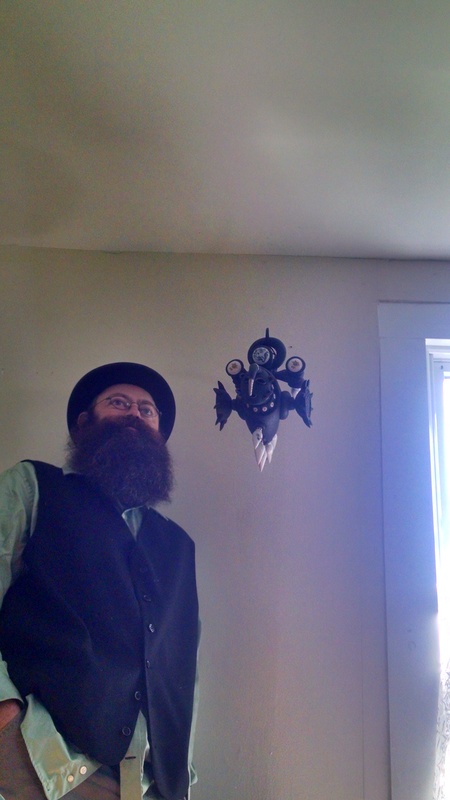 Oh yeah, and I am growing a beard – aiming for wizard by fifty! This entry was posted on August 7, 2015 at 2:38 am and is filed under Art, Gardening, Reflections, Sustainable Living. You can follow any responses to this entry through the RSS 2.0 feed. You can leave a response, or trackback from your own site. Can you send me your mailing address, Gerard. I want to share my magazine. Thanks Frances-whats your email and I will send address.